Total Carat Weight – 2.0 ct. tw. Gleaming platinum showcases a continuous loop of radiant-cut diamonds, bringing timeless grace and brilliance to this 2 ct. tw. 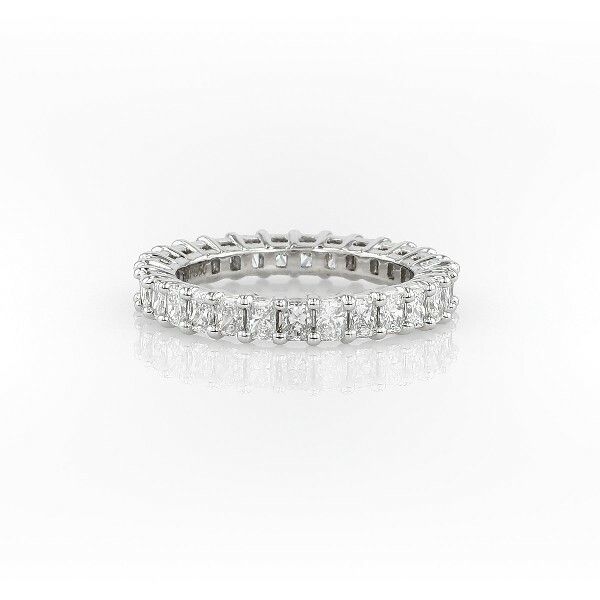 eternity ring.